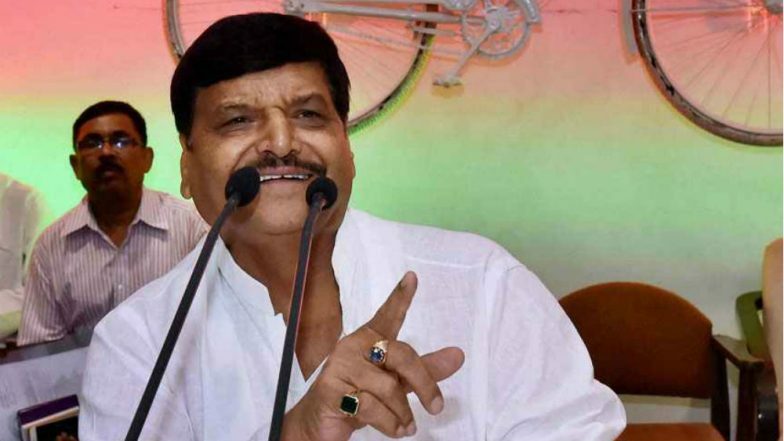 Lucknow, March 19: Shivpal Yadav's Pragatisheel Samajwadi Party (Lohia) Tuesday announced its alliance with Peace Party and a faction of Apna Dal for the Lok Sabha polls. "We have entered into an alliance with Peace Party. We were ready for an alliance with secular parties to defeat the BJP but some parties gave priority to their personal interests," Shivpal told reporters a press conference here. "The BJP government in the state is the worst ever which cheated farmers, youths, minorities and backwards," he added. "It's unfortunate that due to self interest of SP, BSP and Congress an alliance could not be formed against BJP. These parties have weakened the fight (against the BJP) and are doing politics instead of fighting for the common man," he added. He later announced that Apna Dal-- led by Krishna Patel-- will be supporting his party in the Lok Sabha polls. Lok Sabha Elections 2019: Shivpal Yadav Questions Credibility of SP-BSP Alliance, Says 'Akhilesh Betrayed His Father & Uncle'. Apna Dal (Krishna Patel) had on Saturday sealed an alliance with the Congress in Uttar Pradesh. As part of the seat-sharing agreement, Apna Dal was allocated two parliamentary constituencies-- Basti and Pilibhit. Soon after the finalisation of the alliance, Patel's son-in-law Pankaj Niranjan Singh Chandel had joined the Congress in the presence of party president Rahul Gandhi. Bharatiya Janata Party (BJP) had finalised a seat sharing deal with the Apna Dal (Sone Lal), the other faction of the party led by Anupriya Patel, a Minister of State in the Narendra Modi government. The Anupriya Patel faction will be contesting on two seats. The Apna Dal (Krishna Patel) is led by its founder and widow of Sone Lal Patel-- a regional leader of Patels, who had died in a car crash in 2009. The party was later split between his widow and elder daughter.